SAN FRANCISCO — The Asian Art Museum has announced the passing Yoshiko Kakudo, the museum’s first curator of Japanese art. Born in Osaka in 1934, Kakudo received her B.A. in sociology from Kobe College in 1957, and her M.A. in decorative art from UC Berkeley in 1964. While she was in Berkeley, she resided in International House and was one of the notable alumni. She joined the Avery Brundage Collection as a research assistant in 1964. At that time, the Brundage Wing was not built yet and she worked in the basement of the old de Young Memorial Museum in Golden Gate Park. She became the curator of Japanese art in 1970 and held that position until her retirement in 1994. She also cared for the Korean Art Collection until 1989, when the museum hired the curator of Korean art. 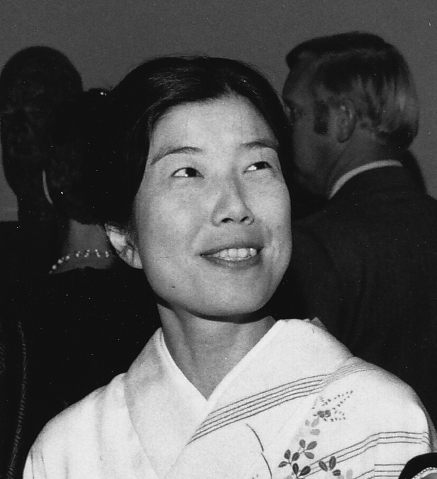 Besides her permanent Japanese galleries in the Asian Art Museum, Kakudo was also responsible for the Japan Center Extension Gallery when the new Japan Center was established in Japantown in 1972. For many years, she selected objects from the Asian Art Museum and displayed them with impeccable taste in the small gallery over the Webster Street Bridge. Throughout her 30 years in the museum, Kakudo curated and co-curated more than 30 exhibitions, took part in numerous symposia, gave many lectures, and wrote many articles on the museum‘s Japanese collection and on the subject of Japanese art. Her “Art of Japan: Masterworks in the Asian Art Museum” won first prize in the museum catalogue category of the American Association of Museums’ publication contest. Her fine taste was clearly discerned in the Japanese galleries overlooking the Japanese Tea Garden in the old Asian Art Museum in Golden Gate Park. Her galleries were elegant, simple, and spacious, and reflected Avery Brundage’s maxim that art objects needed a good deal of “breathing space” around them to be fully appreciated. Although Kakudo did not design the new Japanese galleries at the Asian Art Museum at Civic Center, they certainly continued her elegant style. Kakudo was also a philanthropist. She endowed the Glenn Glasow Graduate Fellowship at California State University, East Bay to support a master’s student in music composition as well as fund an annual alumni concert. She was a benefactor of St. Albert’s Priory and made a gift to the Graduate Theological Union for the Father Michael Monchau Scholarship in Homiletics. She donated a collection of William Abbenseth photographs for an exhibition at the San Francisco Museum of Modern Art and art objects to the Asian Art Museum. One object on permanent display is a wooden plaque “In the Mist” in the Tea House on the second floor of the museum, based on the calligraphy by Yamada Sobin and commissioned by Kakudo. Her interest in the tea ceremony resulted in a significant gift to the Hakone Foundation and the City of Saratoga — her family’s teahouse. Named Shogetsu-an, this teahouse was built in the early 20th century in the Kakudo estate in Osaka. In 2001, Kakudo had the teahouse disassembled and shipped to the U.S. to be reassembled in the Hakone Gardens. She designated the remainder of her estate be distributed through the Yoshiko Kakudo Donor Advised Fund in the San Francisco Foundation. For her excellence in and promotion to the Arts of Japan, Kakudo was inducted into the Bunka Hall of Fame in 2012, an award sponsored by the Hokka Nichibeikai, the Japanese American Association of Northern California. She passed away peacefully on Jan. 12 after a long illness resulting from a stroke. During the few days preceding her death, she was visited by a steady stream of her many loving friends and family; as well as former staff and colleagues of the Asian Art Museum. She seemed to take this all in with her usual quiet grace, before finally going to sleep. Her life partner, Glenn Glasow, and her sister, Haruko Ban, preceded her in death. Her brothers Toranosuke Kakudo, Yujiro Kakudo and Ikusaburo Kakudo and her extended family who reside in Ashiya City survive her. In the San Francisco Bay Area, Kakudo is survived by her extended art and museum family and her sister Kobe College alumnae. Her niece Motoko Ban Okada, husband Hideo Okada and her great nephews, Sho, Ken, and Rui Okada, also survive her. Gifts may be made to the Yoshiko Kakudo Memorial Acquisition Fund for Japanese Art, Asian Art Museum Foundation, 200 Larkin St., San Francisco, CA 94102. The funeral and celebration of her life will be held on Saturday, Feb. 6, at 10 a.m. at Chapel of St. Albert the Great, 6172 Chabot Rd., Oakland.